The greening of our inner cities and the reduction of the car is a topical issue. 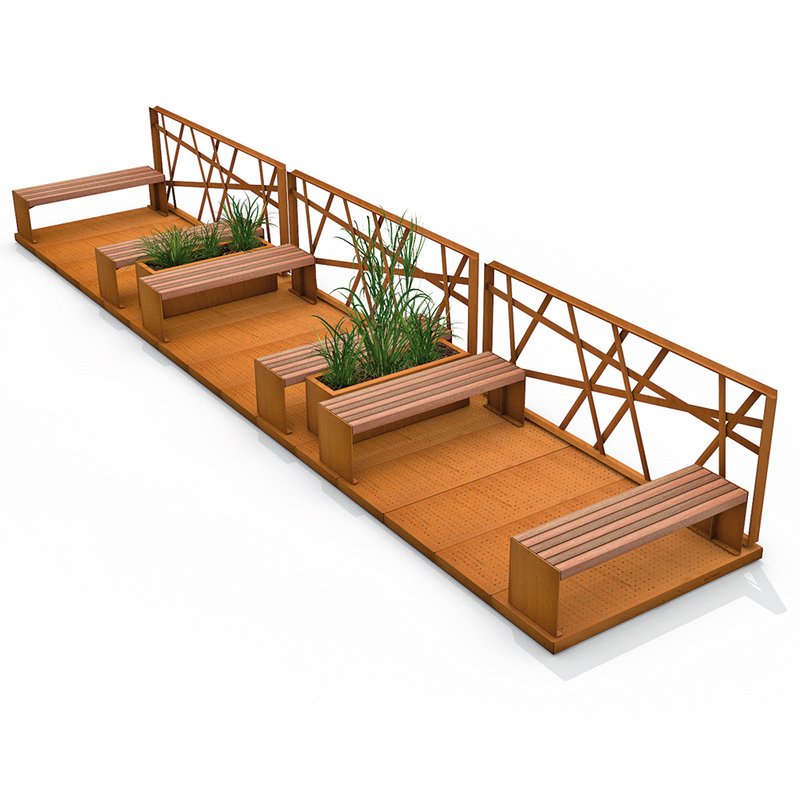 Streetlife now offers a very flexible and budget-friendly Parklet System as a solution. It is easy to disassemble and relocate again! 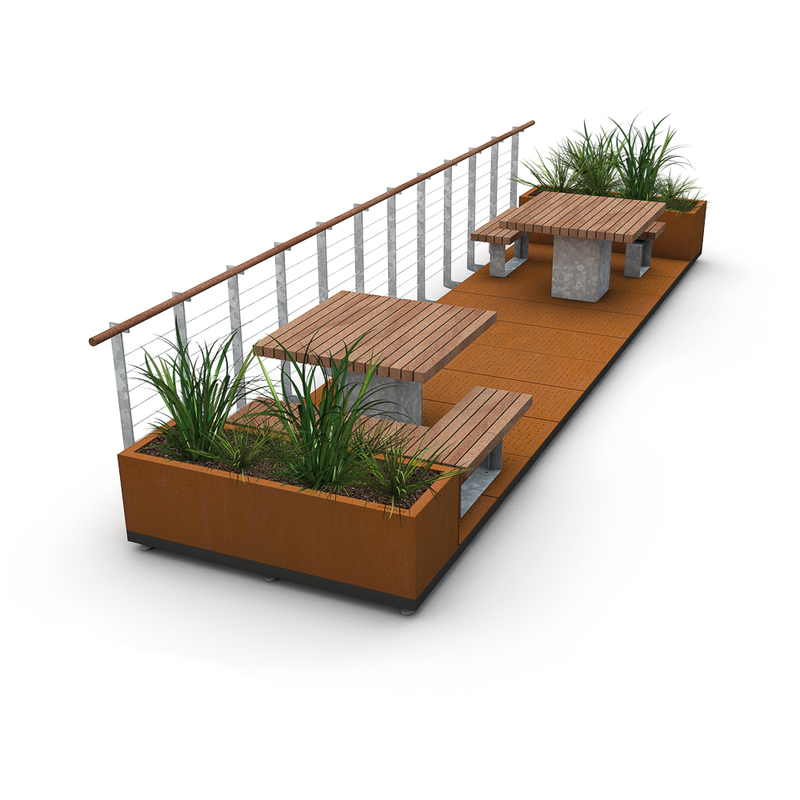 The Parklet System has a modular structure and creates pleasant resting areas on the street, adjacent to the sidewalk. The scarcity of public space is countered by removing existing parking spaces and turning them into ‘green’ zones. 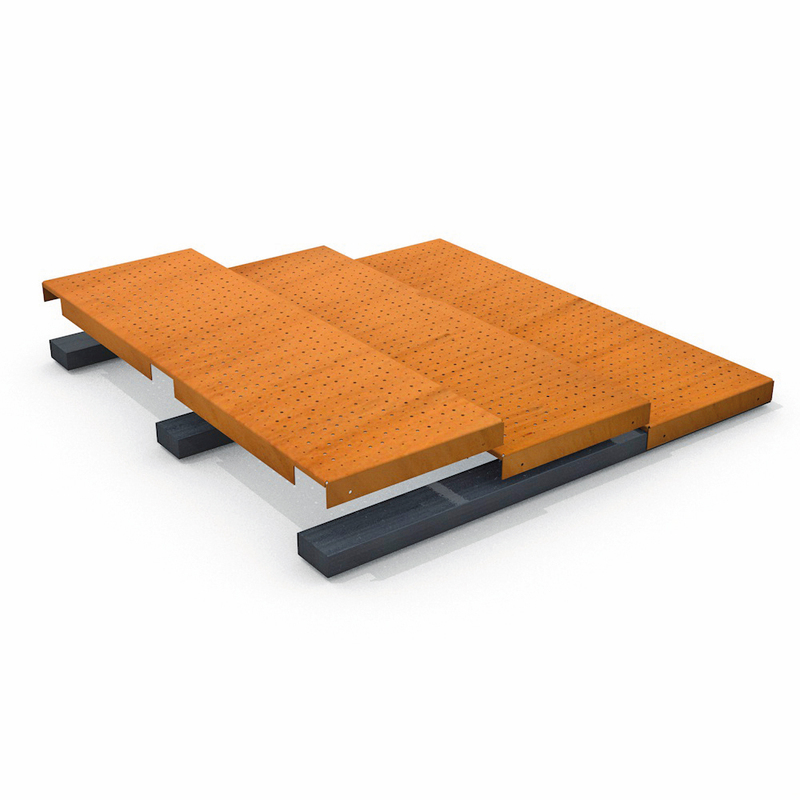 The deck of CorTen sheets optionally fitted with anti-slip Dots, is placed on a Streetrail system of resistant All Black beams with a module size of 180x180 cm - 71”x71”. There are plenty of furnishing variants to be realized with various products from our Collection, such as Green Benches, Bicycle Racks, Box Bins, etc. 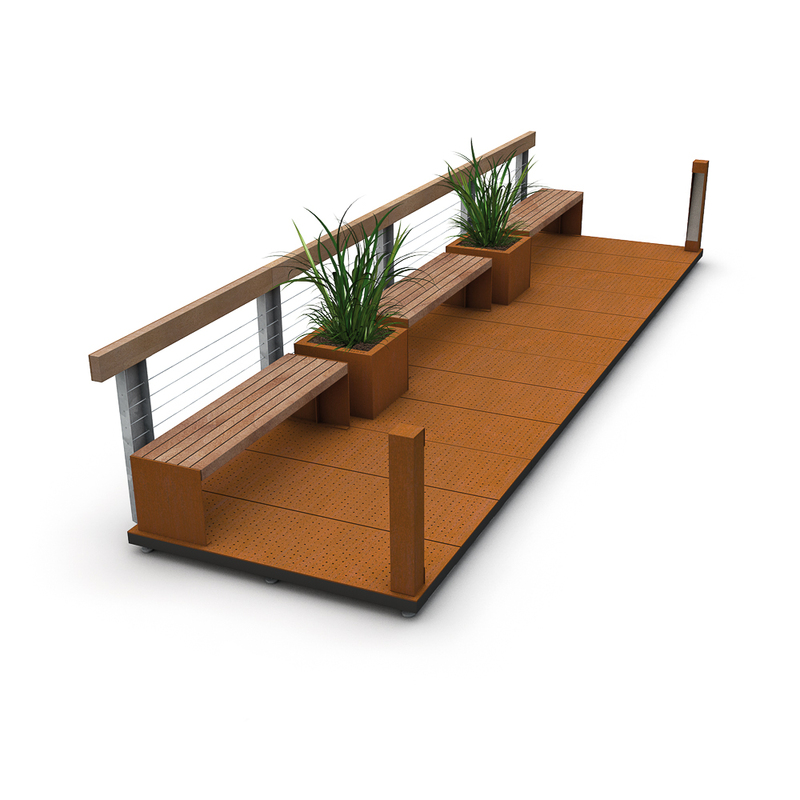 The furnishing elements can be placed easily and flexibly on pre-drilled CorTen floor slabs.